16-year-old Yashasvi Jaiswal is part of the long tradition of cricketers who outshone their humble origins. Umesh Yadav – son of a coal miner. Mohammed Shami – son of a farmer. Irfan and Yusuf Pathan - sons of a caretaker of a mosque. Mohammed Siraj – son of an auto driver. These are just a few examples of current players. However, Jaiswal’s story stands out because it was a struggle for survival. He had no roof over his head, nor food to eat. “Despite several adversities, I had no complaints from life. I had no bed to sleep, no food to eat, but my dream to play cricket was undefiable. My dream kept me happy,” Jaiswal told HoldingWilley. From being homeless to scoring the most runs in India’s recent U-19 Asia Cup 2018 victory, read Yashasvi’s story here. The younger of two sons, Yashasvi’s father made ends meet as a small-scale shopkeeper in Bhadohi, Uttar Pradesh. The batting all-rounder was 11 years old when he moved to Mumbai to pursue cricket. His decision to move to the city of dreams meant that his father would have one fewer mouth to feed, and his brother - who also wanted to pursue cricket - would have to curb his dreams. “Sachin Tendulkar was the reason behind my fond interest in cricket since childhood. My father, brother and myself often played the game together at our hometown”, recalled Yashasvi. For Yashasvi, appreciation is always incomplete till it comes from his brother. Yashasvi had no one in Mumbai but his uncle Santosh, who was manager of the Muslim United Club at Azad Maidan. His uncle’s house, however, was too small to accommodate Yashasvi, so he worked at a dairy shop which gave him money and a place to sleep. For cricket, Yashasvi practiced at the Muslim United Club. “My chores at the dairy shop involved cleaning the mess, preparing lassi and serving people. 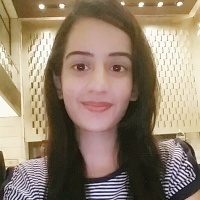 My practice at the Muslim United Club used to begin at 7 am, so I used to wake up at 5.30 am to clean the whole shop and leave for the club by 6.30,” Yashasvi said. It was then that Yashasvi had to live in the tents at the Muslim United Club for three years. Life in a tent is a terrible way to live, but for the determined kid, having a home in a cricket club meant being nearer to the game. Yashasvi does not like to talk too much about hurdles faced, preferring instead to focus on the positives. But when requested to talk about his time in the tents, he opened up. “I lived with the gardeners of the club. There were no toilets, no electricity. During the monsoon season, we wouldn’t even have the tents to live under. Mumbai’s monsoon season is known for its turbulence, so you can imagine what it must have felt like in the tent. “Since there were no toilets, every morning I had to wait in the queue outside the Chhatrapati Shivaji Terminus (CST) to use the toilet. Apart from making rotis, Yashasvi’s other sources of income included selling pani puri and bringing water to people in the tents. “There was this uncle who sold pani puris near the ground, and he would often join us for dinner at the tent because he couldn’t afford eating anywhere else. Observing my financial plight, he offered me the chance to look after his stall in the evenings. So from 6 to 9 in the evening, I sold pani puris and hoped that none of my teammates saw me doing such a job. I used to feel embarrassed,” said Yashasvi. “The Muslim Club had a small ground, so the ball would often go out of the park. I made money by finding the ball and bringing it back. Or sometimes I sold balls outside the ground. “In some games I made money from umpiring too. Or from rolling the pitch. In case of water shortage in the tents, I would bring water from outside and get paid for it. Jwala Singh, Yashasvi’s personal coach, first spotted him at Azad Maidan in 2013 when the young boy was facing division-A bowlers. This was at a time when Yashasvi, due to lack of better opportunities, was planning to return home. However, Singh spotted the talent in the boy. He became Yashasvi’s personal coach, and also gave the teen a place to live in his own house. “I have been living with Jwala sir for the past five years. My quality of life changed drastically once I got a home to live in. Over the years, he has become like a father to me,” Yashasvi said with fondness. Under the coaching of Singh, who has also coached Prithvi Shaw, Yashasvi played the famous Haris Shield school tournament. It was through this that he found himself in the Limca Book of Records after scoring an unbeaten 319* and registering bowling figures of 13/99 – the best combination of runs and wickets in a school cricket match. On the back of exceptional performances at the junior level, Yashasvi got the opportunity to travel to England in July 2015 with Dilip Vengsarkar for an exposure trip. He scored a century there too. The firsts of anyone’s life are special and memorable. Yashasvi’s first flight experience was one he says he will never forget. “It was on the England trip when I boarded a flight for the first time in my life. Jaate wakt toh bahot maza aaya (I enjoyed a lot on our flight to England), but the return was what I will never forget. “It was raining heavily in Mumbai that time. Baapre, jo upar niche ho raha tha flight baarish ki wajah se, main kabhi nahi bhulunga. (The turbulence on the flight caused due to heavy rains was thrilling. I will never forget that experience). “I was wondering how come our return was so different from when we flew to England. I didn’t know rains can cause problems while landing. Uss din main socha ki main zinda rahunga bhi ki nai (I wasn’t sure if I would come out of the flight alive or not). Ever since, the soft-spoken lad has developed a fear of traveling by flight during rains. Sachin Tendulkar’s son Arjun is Jaiswal’s Mumbai U-19 teammate and told him that his father wanted to meet the all-rounder. Yashasvi was invited to Sachin’s residence after being selected for the U-19 Asia Cup. 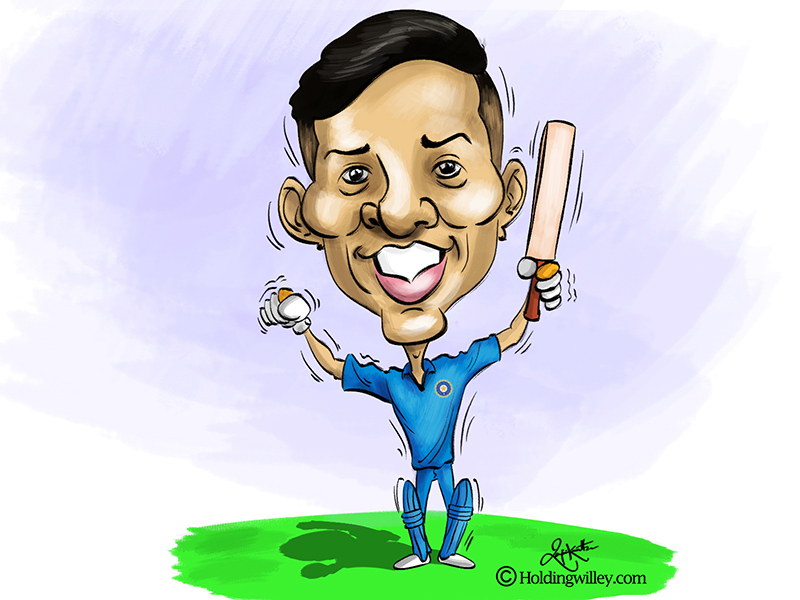 Yashasvi shared that Tendulkar explained the art of facing deliveries smartly. Tendulkar also gifted the youngster an autographed bat. So, what next for Yashasvi? Yashasvi was the top performer for the Indian cricket team as they defeated Sri Lanka in the finals of the U-19 Asia Cup earlier this month. The opener scored a 113-ball 85, helping his team to a total of 304/3, and he ended the tournament with 318 runs at an average of 79.5. With such impressive figures, it doesn’t look like his Ranji Trophy call-up will elude him for too long, but Yashasvi doesn’t want to think far ahead.